About Jill's Book..."Step On A Crack"
Step on a Crack tells the story of a girl who simply wanted her mother's love and acceptance. Instead, Jill grew up under the iron rule of a woman unhappy with her own life and determined to see that her younger daughter would share her shame. Jill learned quickly from her mother how incompetent she was, chastised for the smallest things such as her inability to carry bread home from the neighborhood grocery. So sure of Jill's shortcomings, Frances did all she could to enhance her daughter's appearance in every way possible. 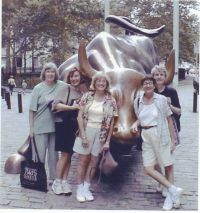 "There are many intriguing memoirs on the market which depict life struggles that generally reveal extreme circumstances", said editor Tracy Robert of Newport Beach, CA. "Jill’s story is different. Readers will identify closely with a life which appeared typical on the outside." 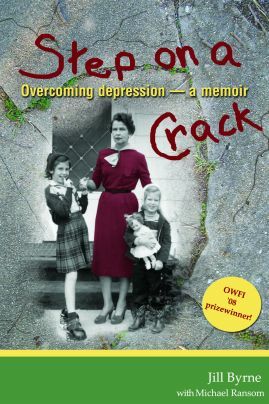 Step on a Crack is the story of a woman who endured a domineering mother, survived two divorces, and eventually overcame a depression that originated early in her life. Jill readily states, "I was born depressed." 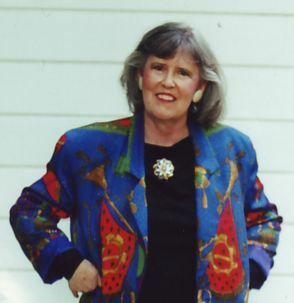 From 1974 to 2001, Jill valiantly maintained an appearance of normalcy as a school psychologist for the Tulsa Public School System. She began therapy in 1969, and over time worked through seven therapists - learning something from each, moving slowly forward year by year. Despite the sadness and struggles, Jill has been able to see humor in the pathos. She is a person who finds herself in absurd situations with "interesting" individuals, and her stories of these encounters provide frequent comic relief in Step on a Crack . Today, Jill is a successful entrepreneur and an accomplished speaker and writer. By going public with her story, Jill hopes to encourage depression sufferers everywhere (estimates are as high as 44 million Americans today struggle with the illness) that they must never give up. 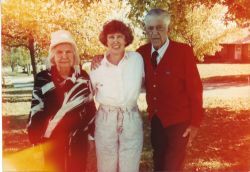 Since Americans live in a society that deifies the medical profession, Jill fears that there are many people accepting the depression diagnosis and a sentence of "medication for life" that they don't deserve. Jill speaks from experience when she says, "There is a way out of the darkness for everyone." It may not be the same path for each. What she learned was that part of the solution is simply showing up – because showing up is part of getting to the answer. Even though Jill's recovery felt spontaneous to her, it took years of hard work and slow progression for her to be receptive to that moment. became a noted risk taker. In Step on a Crack , Jill challenges her readers to embrace opportunities for change. She advises that they not ignore family of origin issues, for they will shadow them until they are resolved. She notes how to work with the "helping" profession and advises the reader to find another therapist if the first one is not a good fit. Jill and her co-author, Mike Ransom (in Rochester, MN), hope that Step on a Crack will encourage those struggling with depression so that they some day have their own moments of integration. 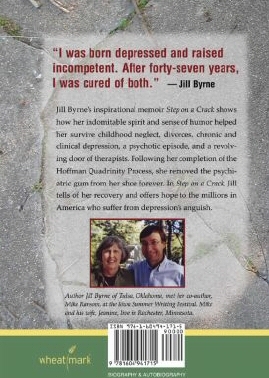 "In Step on a Crack, we follow Jill Byrne's astounding journey from the darkness, through decades of courageous attempts to find wholeness, to her ultimate healing, by learning her way out at the Hoffman Process. Jill's memoir is her crowning glory and a testament to the resiliency and beauty of the human spirit." "I'm struck and impressed by Byrne's deadpan humor, piercing honesty, and the ability to tell a masterful story that could have easily turned out angry, bitter, or maudlin. She has a rare talent for storytelling. Her clear vision of what she endured growing up and how she doggedly worked to heal her inner self will inspire anyone who wonders how people survive in this zany world. I read your book from start to finish…stopping only to eat and go to bed…I got up early this morning to finish. Thanks for telling so much about yourself. I suppose your tale has spawned more email and notes like this….I hope so. I guess being a bit "crazy" or "weird" is the new "normal"…at least it is for me. Thanks again for your tales. BB, Oklahoma.